A new crossover-inspired compact Suzuki SUV with spirited styling and innovative features broke cover at the recent Paris international motor show. With an eye-catching five-door body and compact dimensions, the latest Suzuki Ignis is creating quite a stir with some journalists labelling the model as “hands down, the coolest thing on display at the Paris Motor Show this year”. Sporting retro looks, the newcomer is not only fun but also highly practical and thrifty while inheriting many features that have made Suzuki a compact car winner. The Ignis is a global compact SUV that goes on sale in Europe from next January while exports will extend to other markets later in 2017, including New Zealand. A simple and iconic design, the model is based on a rigid new generation, lightweight platform incorporating a high percentage of light, strong high tensile steel. 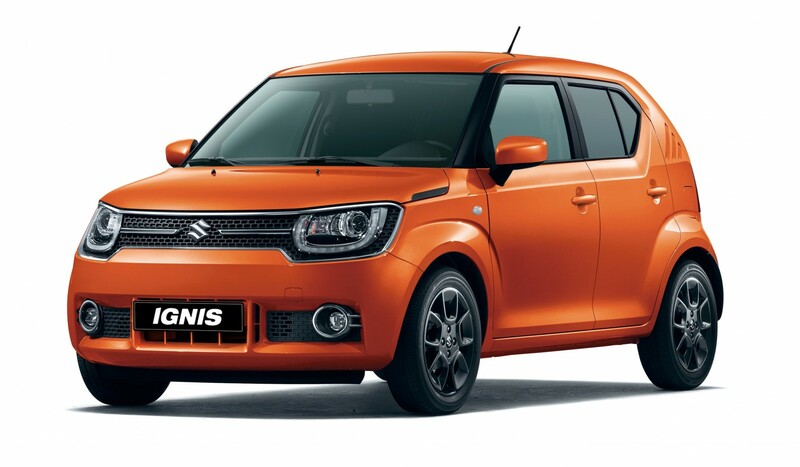 Weighing in at a trim 820 kg, and rising to 895 kg depending on options, the Ignis provides ultra-low running costs and is high on safety features. The new Suzuki also boasts a display touchscreen entertainment system and display audio with navigation function, a bright interior design, innovative instruments and an extensive personalised options list. In Europe the model will be available with two powertrain options including a new highly efficient Dualjet 1.2 litre engine. It is unclear as yet if all markets will receive the Smart Hybrid Vehicle (SHVS) by Suzuki version which uses a “mild hybrid” arrangement. The SHVS Ignis is powered by the 1.2 litre K12C Dualjet engine and an integrated starter generator (ISG) with an integrated generator and electro motor, and a lithium-ion battery pack. This leverages the electric motor’s torque assist and the system’s efficient power regeneration to achieve better economy. Effectively, the starter generator harvests energy when the car is slowing down on a trailing throttle, and then uses this to assist the motor when accelerating. The hybrid model is able to achieve CO2 emissions below 100 grams/km. The new model is slightly shorter than the current Swift but has the same 2,430mm wheelbase, and a taller SUV design being 85mm higher. Combined with the 180mm of ground clearance the new Ignis has impressive head room and interior space. The car’s fresh, sparkling looks are sure to attract attention, and New Zealanders are likely to recognise some of the Suzuki styling cues which have been incorporated in the design. For example, the clamshell bonnet and fender garnish mimic those on the original first generation Suzuki Vitara from 1988 – a styling feature also continued on the latest generation Vitara. The Ignis “C” pillar slots are inherited from the Giugiaro-designed Suzuki Fronte coupe which was the first small Japanese sports coupe sold in Japan, and there are also styling touches from the Suzuki Cervo. Black-out treatment on the “A” and “C” body pillars featured on the highly successful Swift have been applied to the Ignis. There was a requirement for the Ignis to make a strong impression and have strong personal appeal. Designers created a small, distinct compact SUV with a spacious cabin, good visibility, high seating position and ample load space. The boot offers a capacity of 264 litres, and can be varied due to the sliding rear seats. No fewer than 14 body colours are being offered in Europe, including bright orange, and neon blue, while a black coloured roof treatment will be optional. 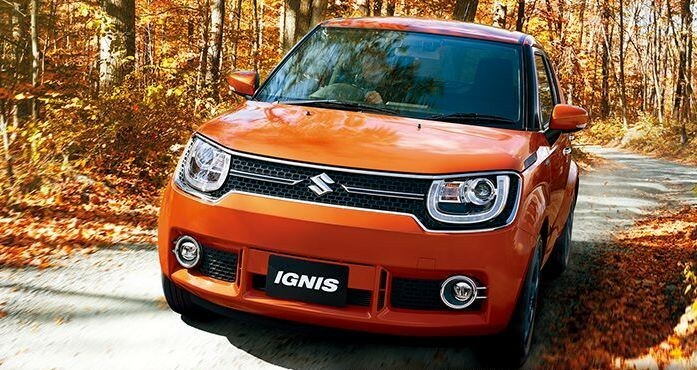 The unveiling of the new Ignis further strengthens Suzuki’s lineup of small SUV models in New Zealand.